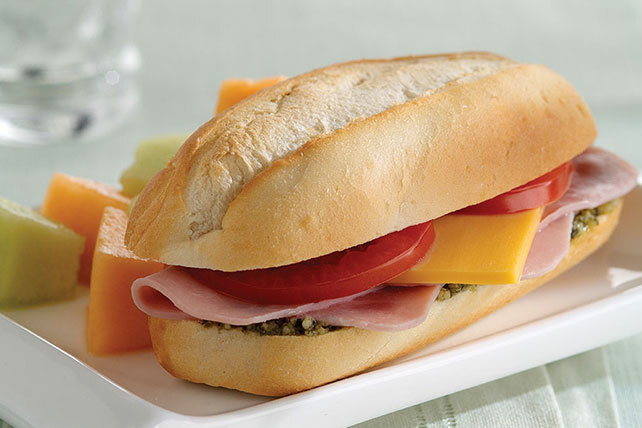 Slices of smoked ham and Cheddar cheese are nestled in pesto-smeared French rolls in these hearty sandwiches. Serve with fresh fruit and a side salad. Prepare using OSCAR MAYER Deli Fresh Smoked or Brown Sugar Ham.